Let the wind blow! Let storm go off! And let the thunder splash vigorously! Welcome the Koenigsegg Regera! Well, Koenigsegg is really hard to pronounce. And besides the Swedish, there are quite fewer people who know the actual pronunciation of the word Koenigsegg. 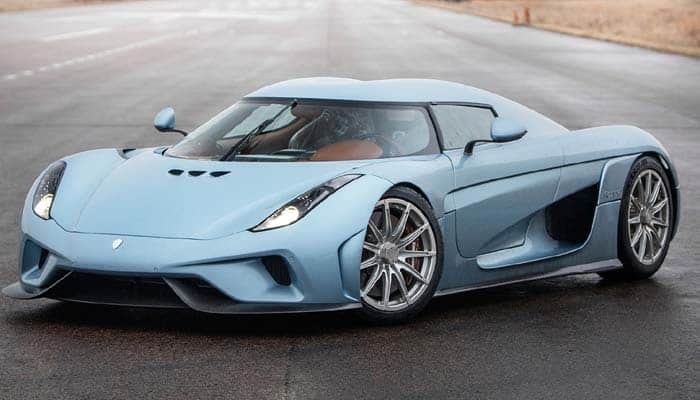 Well, this strangely pronounced manufacturer is producing the Regera in 2016. That was the Geneva Motor Show of 2015 when the Regera was introduced for the first time. No one believed that Koenigsegg would carry on with its ambition to produce mega cars. After the One:1, it really blurred to get another ambitious car. And especially the one mint with the modern technology. The word Regera has been extracted from the Swedish dictionary. It means to rule. When Regera was introduced at the Geneva Motor Show, it conquered the hearts of almost everyone over there. And with its breathtaking performance, it rules the dynasty of cars. Well, soon after the Regera was introduced, the Koenigsegg put a stop to the production of all its other cars. And presently, Regera is the only car available with some few units of Agera, Agera RS and the One:1. Well, what should be the price for such a ballistic mega car? Not to forget, the Regera is almost 1 million dollars cheaper than the Chiron. It is worth $1.9 million. The Koenigsegg produced 80 units of this car. And out of them all have been sold. Certainly, the company would have to craft more units to fulfill the demand for luxury and power lovers. 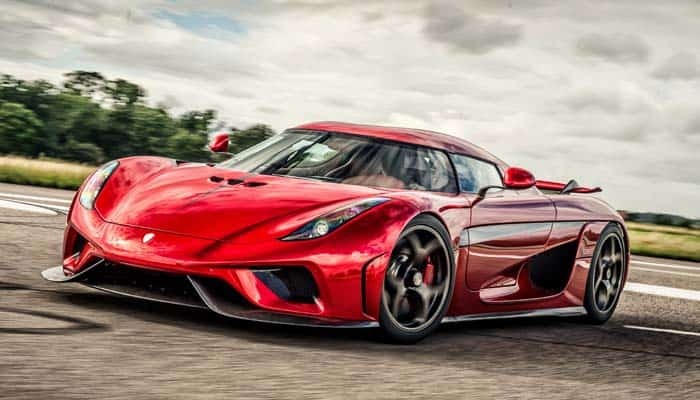 Ahead of that, Koenigsegg even believes that Regera is the world’s most powerful car ever. 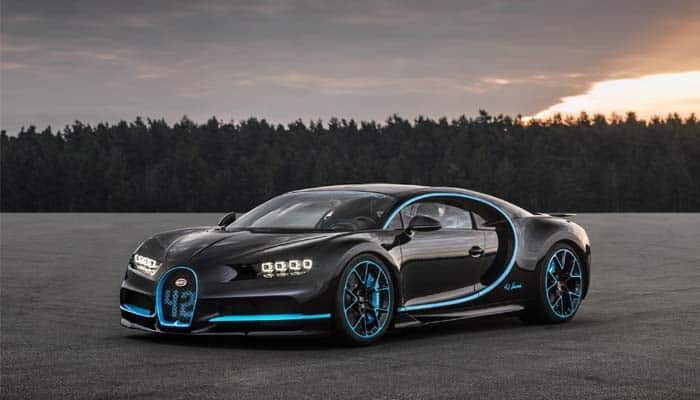 And that is certainly true that is one of another high performing coupe present in the world today along with Chiron. The Koenigsegg has done some magic with the Regera. It is just a twin-turbo V8 engine which weighs equal to a naturally aspirated W16 engine. The Regera comes with a 5.0 L twin-turbo V8 engine rated at 1,500 hp of power with 1,475 lb-ft of torque. Well, the Regera is not just a simple sports car. It is a hybrid hypercar with three electrical motors supporting the performance of the car. The engine itself is rated at 1,100 hp of power with 944 lb-ft of torque. But to stand against the world’s powerful mega car, it was essential to meet its capabilities. The electric motors produce 697 hp of power at 664 lb-ft of torque. The first electric motor performs as the car starter. It provides the initial torque to the Regera to run up. This is a 215 hp power motor. The next two motors provide thrust for driving the wheels. Each motor is of 241 hp and powers each wheel separately. Further, they even provide torque vectoring to Regera. To power, these motors, a 4.5 kWh liquid cooled 800 volts battery is installed in this car. Well, this is first of its type battery installed in any car. And as per some records, none of the cars, either conventional or hybrid had ever used such big battery. The 1-speed transmission system is new to the sports cars. It is titled as the direct shift or the fixed gear, which autonomously runs as per the RPM of the combustion system. In a way, it is an electric type gearing system equivalent to 7-speed dual clutch automatic transmission. Well, this system allows more power rev to the Regera to generate enormous power at lower speeds. Koenigsegg has done some fine job with the exterior design of Regera. There is plenty of aerodynamics involved in this car. Along with that, some amazing facts and figures have been involved in the exterior designing of this car. The Regera gets a happy looking face, instead of a grumpy aggressive face. The headlamps are the combination of the projector lamps and the LEDs. And amazingly, this Swedish company has installed Constellation DRL LEDs that glow like stars in the sky. That is a pretty amazing technique for such a fast car. 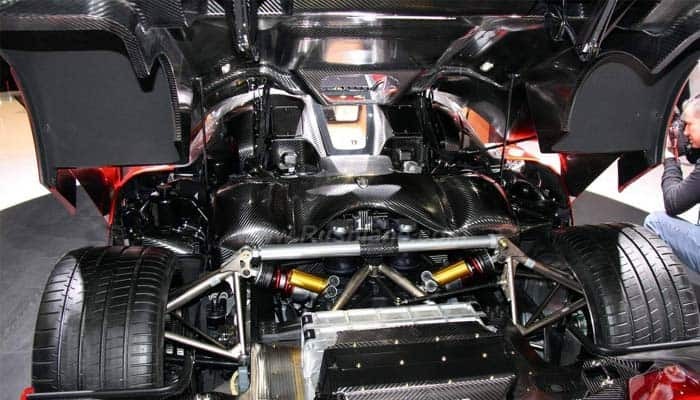 Ahead of that, Koenigsegg has utilized the hydraulics for the active dynamics of Regera. 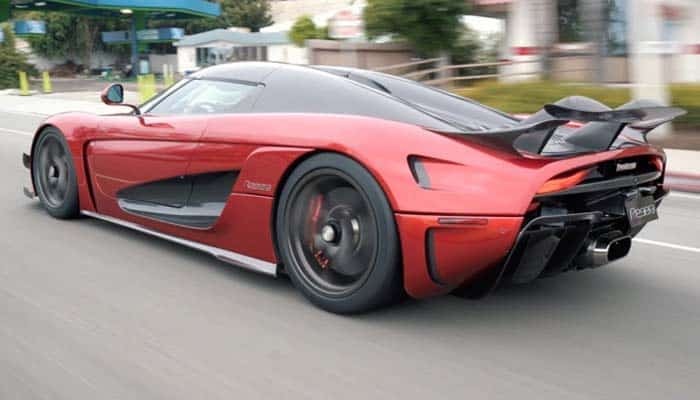 As per one of the Koenigsegg exterior experts, they don’t want Regera to become dirty, as when drivers open up the doors with their hands and fingers, the car gets stains. That is why they have put in a series of active dynamics along with the proximity sensors to operate the doors, spoiler, hood, and trunk of the car. In addition to all, the Regera gets 19-inch alloy wheels for the front and 20 for the rear. Plenty of science has been played on this car. The aerodynamics make it feel like there is no friction on it. While making it run for a quarter mile would never make you feel like air is resisting its maneuvering. Though there is still some resistance. But that is why minimum then its rivals. The rear setup gives the appearance that Regera would start flying at any moment. The beautifully appointed taillights and large central exhaust tip certainly make it look like an advanced UFO. But the active spoiler brings the Regera back the earth. Though it even seems like an alien but UFOs do not really have downforce thrashing spoilers. 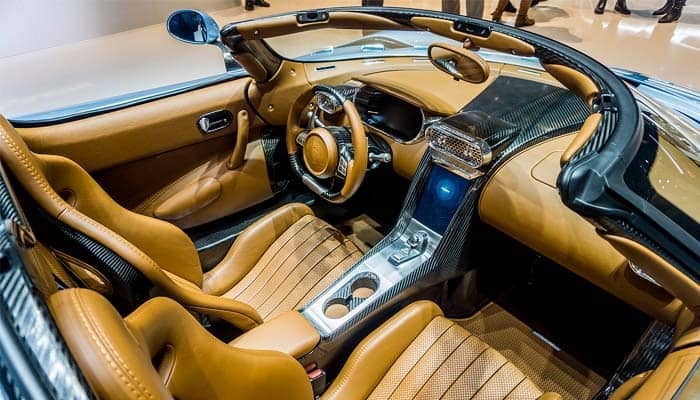 The Koenigsegg has utilized the Swedish craftsmanship to design the interior of Regera. It gets some soothing ingredients such as the leather soft foam seats and ambient lighting. The interior appointment is sporty as well as luxury. The interior is comfortable with lots of handy spaces for putting the mobile phone and cups. Well, the Regera is meant for two. And it has been designed for sports driving or the grand touring. It is set to make every journey remarkable and memorable. Unlike the other hypercars, the Regera has plenty of technological features. It gets a friendly 9-inch touchscreen infotainment system powered by the Koenigsegg personal development. Further, the system supports the 4G internet connection. And it comes equipped with the Wi-Fi support. The most amazing feature is the Apple CarPlay. Usually, we do not find this feature in the mega cars. But thanks to Koenigsegg to make Regera friendly for the Apple stuff. 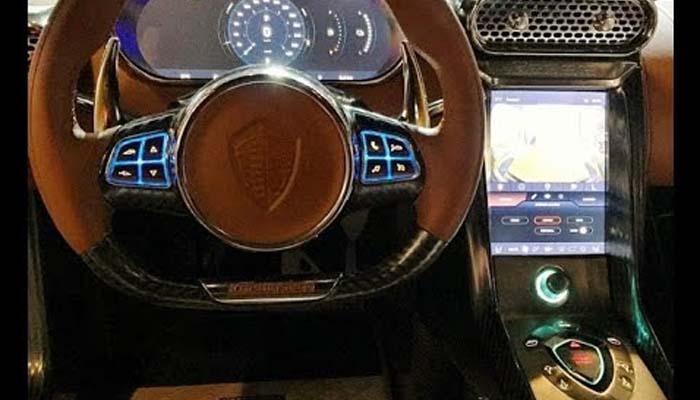 Away from the multimedia features, the Regera gets the Remote diagnostic features. This enables the car owner to keep updated with the mechanical status of the car. And last but not the least, Koenigsegg in-house development team keep on updating the system. The Firmware update capability is standard for this car. There is plenty of safety included for the Regera. In a way, the Regera is a true mega car with blistering performance and equal level safety equipment. Pretty smart airbags system in installed in Regera. They deployment is sensed as per the occupant type (size and weight). Next, you get pretty strong seat belts that would not let you fly at very high speeds. Well, passive safety cannot always assist the driver in times of trouble. The active safety is evenly essential. The Regera gets numerous active safety equipment. Such as it gets frontal and rear camera system, parking sensors, traction control, electronic stability system, electronic brake assistance, ABS, digital warning system and the tire monitoring system. How would you compare the W16 Bugatti Chiron with the twin-turbo V8 Regera? We matched them on the track and found that Chiron is faster than Regera while launching from 0-62 mph. But at the quarter mile, Regera defeats Chiron. Ahead of that, Regera gets plenty of useful features that Chiron does not really have for its occupants. And safety is much added-up in the Regera than Chiron. A car like Regera could just be imagined in dreams. It is really hard to find such a perfect car. She is indeed quite unique and spectacular.